The rainy weather in Iceland makes the country unusually suited for waterfalls and Iceland is home to many. 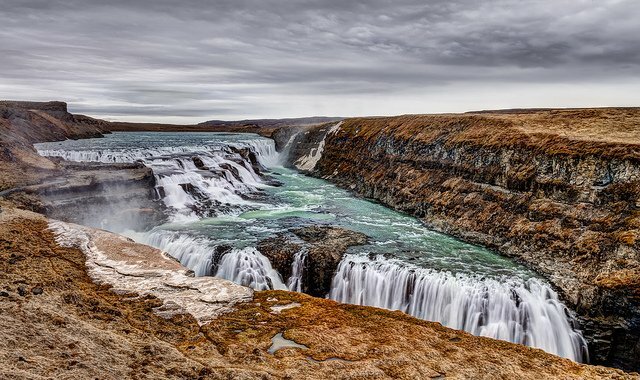 Gullfoss has made the list because of its beauty and accessibility – it’s located on the Golden Circle (the most popular tourist route in Iceland). 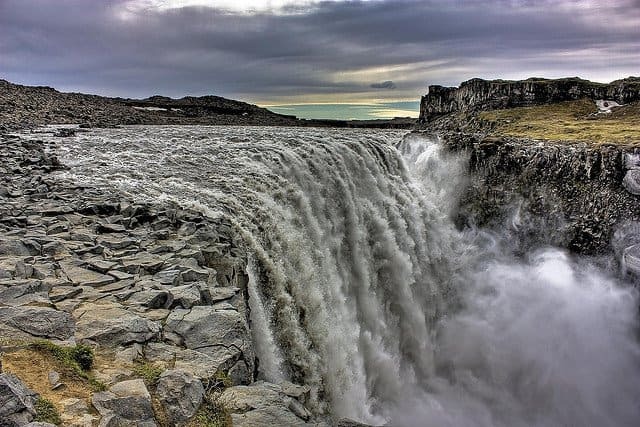 Literally meaning Golden Falls, Gullfoss is one of the most popular tourist attractions in the country. It’s actually two separate waterfalls, the higher one has a drop of 11 metres and the falls below have a drop of 21 metres. 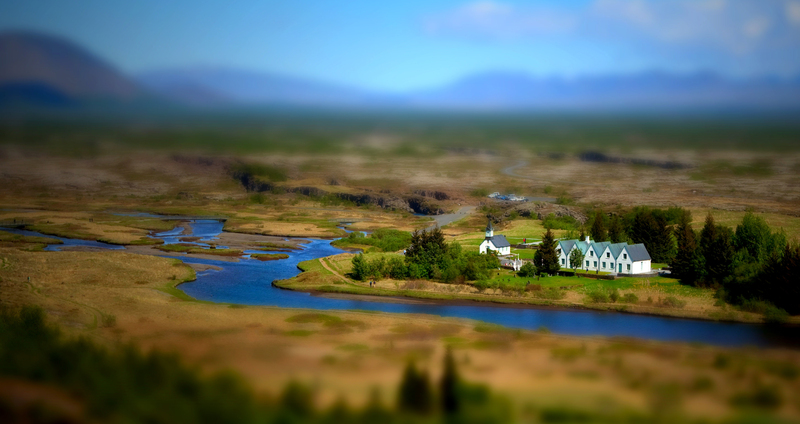 Another attraction on the Golden Circle is the UNESCO World Heritage site Thingvellir National Park. 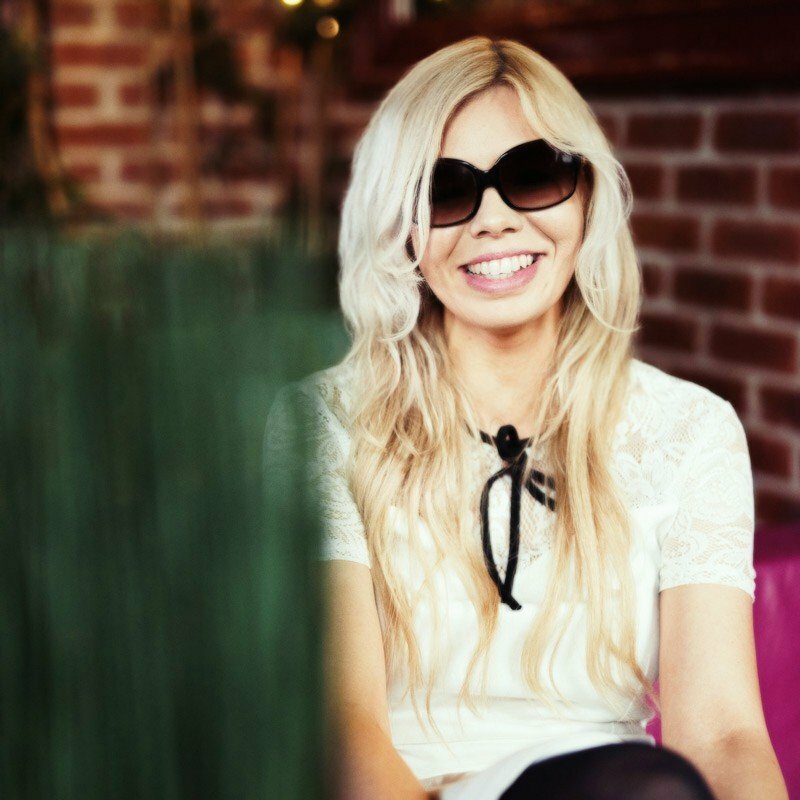 It’s undeniably beautiful with miles of untamed Icelandic countryside and a huge crystal clear lake filled with species of fish found nowhere else, but arguably its more famous for its location. It’s based at site of a rift valley marking the crest of the Mid-Atlantic Ridge. Divers and snorkellers take advantage of the lake’s amazing visibility to see the Eurasian and American continental plates slowly tearing apart below. 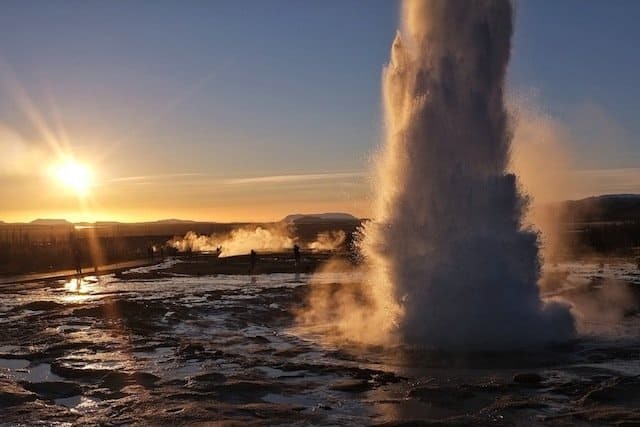 The third attraction on the Golden Circle is the hot spring area which is home to the original Geysir (which gave its name to all the others). The Great Geysir is now sadly inactive but thankfully the next biggest, ‘Strokkur’ still obligingly spews hot water as high up as 30 metres every 10 minutes. During the winter month’s you’ll probably freeze standing around waiting for it to erupt but luckily the geothermally active area – with its unusual colours and bubbling sulphurous mud pots – is pretty enough to keep you distracted. Yes it’s a tourist trap, yes it’s man-made (it’s been dug out and filled with the outflow from the nearby Svartsengi thermal power station) but there really is no where else like it on earth. 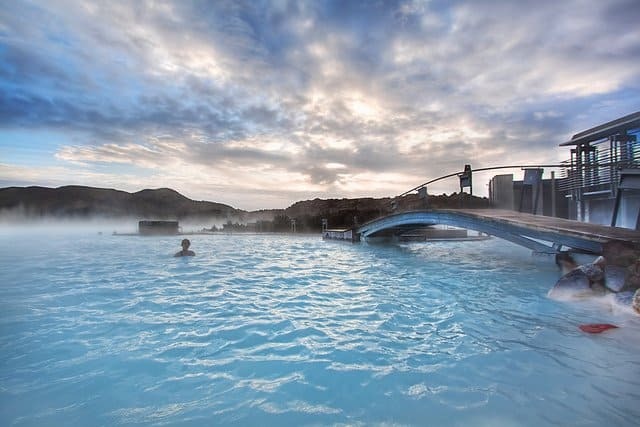 It also deserves a place on the list because the geothermal spa with its thick mist which swirls over milky-blue water set against a background of black lava landscapes has a surreal beauty, and is definitely a place everyone has to visit at least once in their life. Iceland is so famous for its volcanos so you’ll have to include at least one on your itinerary. 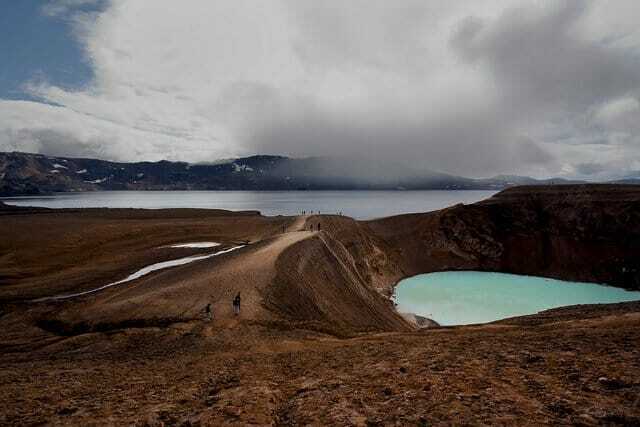 Head for Askja, a sunken crater located in a central volcano in the Dyngjufjöll Mountains. The landscapes here are so remote and lunar-like its actually where US-astronauts trained before landing on the moon in 1969. Once there make sure you scramble down the crater’s stark sides to take a quick dip in the milky turquoise geothermal lake (Víti) below. Not many visitors reach as far as Iceland’s Westfjords – it’s one of the most remote corners of Europe – but the ones that do won’t be disappointed. 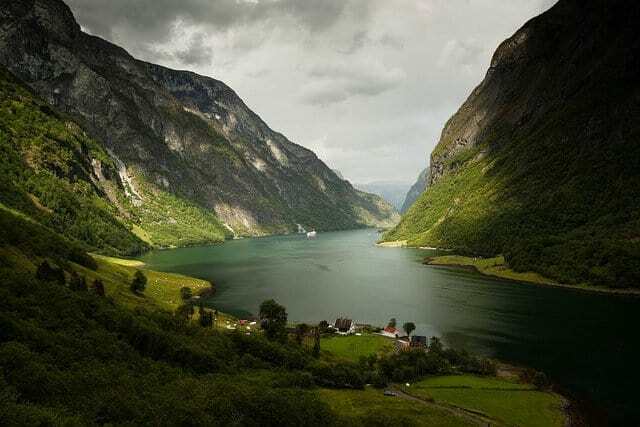 The clear blue fjords, wild untouched landscapes, dark craggy mountains, gorgeous coastal roads and large puffin colony make for some very beautiful scenery. Don’t expect to see too many people hanging around, this area is very sparsely populated and only connected to rest of the country by mere 7 kilometre wide strip of land. 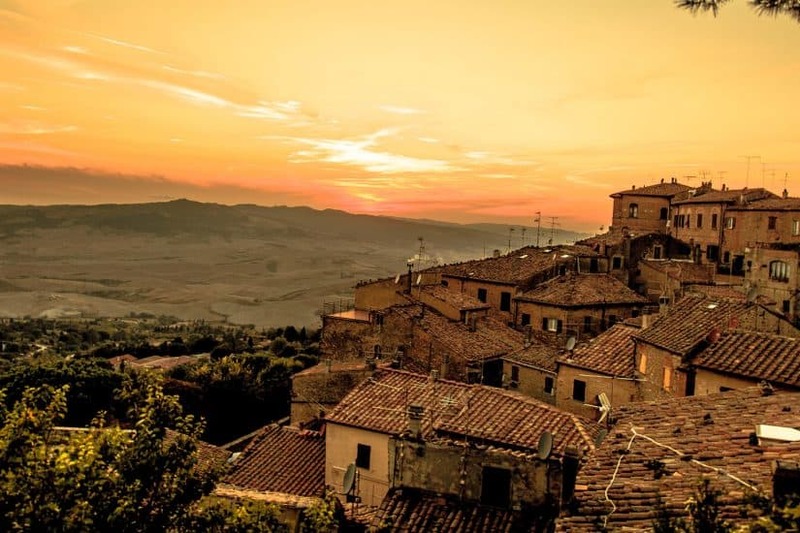 If you’re thinking of heading out this way make sure you plan your trip well, Casamundo.co.uk offer holiday rentals in this remote area (starting from €276 a week). Although it’s fairly hefty five hour drive from Reykjavik this place rates consistently high as a beautiful natural attraction in Iceland. It’s a huge glacial lake located in Southeast Iceland near Vatnajökull National Park and a uniquely beautiful sight. The lake was formed after the glacier started receding from the edge of the Atlantic Ocean and its recently grown so much it’s now the deepest lake in the country. Charter a boat tour to float among glacial icebergs before they break off and get swept off down the channel into the sea. This is another popular destination and like most of Iceland’s natural attractions it has an unearthly beauty. 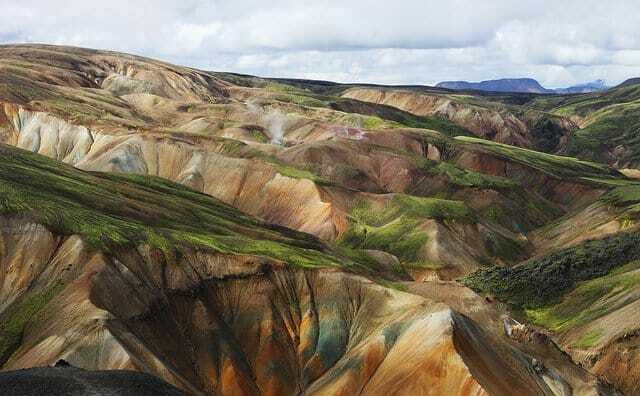 Located near the volcano Hekla (in the southern part of Iceland’s highlands) expect rugged hiking trails, bubbling hot springs, wildly-coloured hills and expansive lava fields. Although don’t plan your trip during the winter months, this site is only accessible in summer. Skaftafell with its ice-blue glaciers, lush green meadows, attractive waterfall and tall mountains is definitely no slouch in the epic landscape department. Located in the South of Iceland, the area now forms part of the larger Vatnajökull National Park but still has its own visitor centre to represent it. 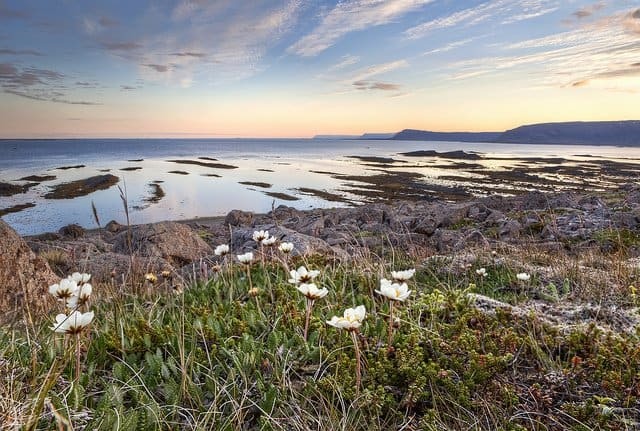 A peaceful unspoilt area, the park mostly draws hikers, climbers and wildlife watchers looking to catch a glimpse of many species of birds and native arctic foxes. This is another national park that now forms part of the larger Vatnajökull National Park. It lies to the north of Iceland and is based around the river Jökulsá á Fjöllum. 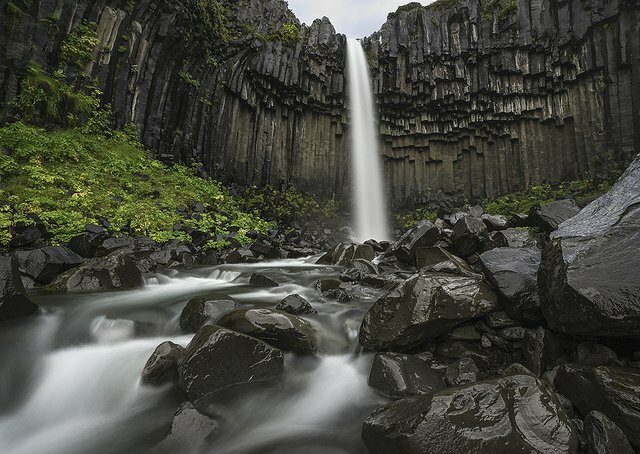 Definitely one of the most beautiful places to visit in Iceland, it’s known for its volcanic mountains, several exceptional waterfalls including Dettifoss, (Europe’s most powerful waterfall), endless rock formations and Jokulsargljufur Canyon – one of the largest and most impressive river canyons in the country. Beautiful pictures! I really love the Jokulsarlon lagoon one. I went to almost all of them except Askja and Westfjords. I need to go back! Get post and amazing photos! Iceland is just fantastic and so undiscovered! The Blue Lagoon is a must, did you get a chance to see the Northern LIghts? 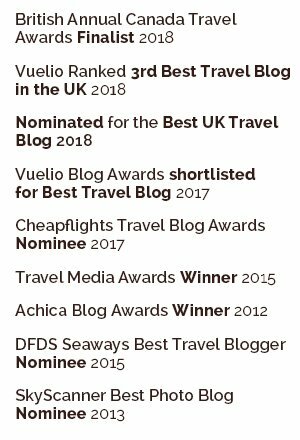 If you ever get a change to Discover The World do some great deals on trips, I booked through them last year, http://www.discover-the-world.co.uk/en/types/iceland/Northern-Lights/ I stayed at Hotel Ranga – would highly recommend it! Skogafoss is a beautiful trip on a sunny day- nearly always with 1 or 2 rainbows! There is so much about Iceland. I recommend a village in South Iceland, Laugarvatn, which is located in the heart of the Golden Circle. Gullfoss, Geysir and the national park are all with in 20 minutes drive away from the village. 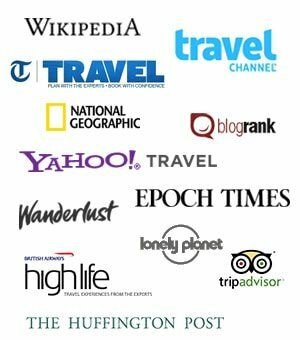 There you can as well experience beautiful hostels, restaurants and geothermal bathing. I’ve never wanted to visit Iceland so badly. Thanks for the awesome photos and info. Now if I can just get my husband on board…. Nice photos and good list. Everyone loves to mention the Blue Lagoon but my fav. was the hot springs Akureyri, Iceland. The pool felt more natural and it was far less crowded. Love Iceland. I guess it has been hard to choose only 10 places 🙂 Jokulsarlon Lagoon remains the best place I’ve ever seen. I’ve seen them all and I really think Stykkisholmur should and the Peninsula should have made the list. Myvtan and Husavik are also amazing — as is anything in East Iceland! Thanks for the beautiful pictures. Being raised in the Westfjords I am happy to see them included. They can astonish anyone. Agree on the Snæfellsnes peninsula; a fantastic area. Miss the geological “showroom” Westman islands, really worth a visit. First I came to Iceland in 2001, nearly every year since then I’m back. The rest of the time I’m homesick for the beauty, clear air, unbelievable blue sky, magnificent landscape, northern lights, fresh water and the last adventures when crossing the highlands. those lagoons are exactly WHY i have to go to Iceland. 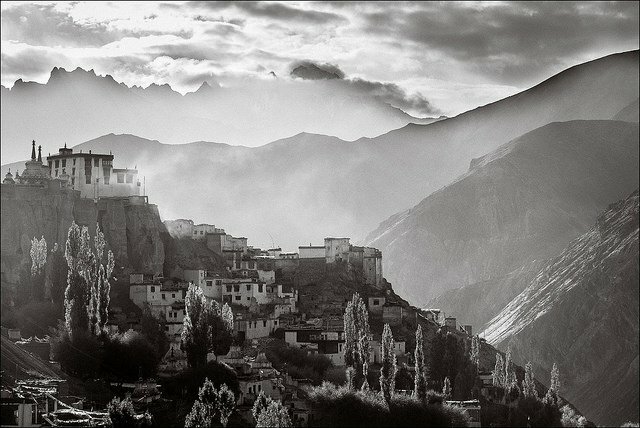 stunning photos…it almost doesn’t look real but i know it is. i have to HAVE TO see it. We didn’t manage to get there on our trip but we’ve heard its really beautiful too! Seriously amazing! 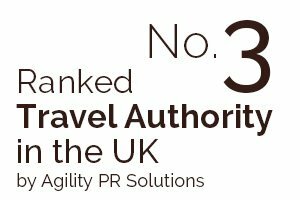 Iceland is creeping higher and higher on the list of our next destination. The sceneries just look unbelieable! Thanks guys, it’s definitely a special place surreal but beautiful! I’m coveting Iceland, and these photos show why. I can’t wait to see it in person. I have longed to go to Iceland and these pictures make me want to go even more. I love the tilt shift one you have posted! Geysir is my number one. How did you capture this moment? Awesome! Thanks Agness, it was a lot of standing around in the cold! 😉 but worth it for the views though! Really beautiful places, would love to see some of these sights. I never get tired of looking at images of Iceland. And the Jokulsarlon Lagoon – wow! Looks amazing!